The news hit hard. Downcast eyes, people with hands over their mouth, and long pauses after Julie asked the group for questions. Julie explained how budget cuts forced UW Extension administrators to rethink their commitment to 100-years of county-based services. Wisconsin has a valuable partnership between the UW System and local counties. Under the “Multicounty Reorganization Plan”, new regions would be created. Many staff would move or lose their jobs. Forty open positions would not be filled and another 40 would be cut. Some staff may remain local but a lot seemed to depend on the ability of counties to pay for lost state funding. Local programs and support are at risk. Farmers and rural residents rely on UW Extension for many services. Generations of youth explored life-changing opportunities and developed their skills through 4H projects. A multitude of pest, crop and disease crises were averted through the work of local Ag agents who provided immediate communication between UW experts in Madison and farmers hundreds of miles away. Family living and economic development services affected every community. Dunn County passed a different resolution, calling for Dunn to be the hub of a region to include Eau Claire and Chippewa counties. Being a hub would put resources in Menomonie. It was unclear how to accomplish this with Eau Claire and Chippewa residents likely wanting the same. Most of us take for granted services that have existed for a century. 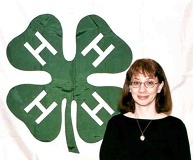 Few realized deep cuts to the UW System could mean no local staff person to help organize 4H clubs or provide support for county fairs - so much a staple of Wisconsin rural life. Cuts to the UW System are deep. Majority lawmakers voted last summer to make $250 million in cuts to the UW System’s base budget. Cuts came on top of tuition freezes and many prior losses of state support. Every UW campus is struggling with fewer staff, programs, and money for maintenance and facilities. For some in the Menomonie audience, cuts to the UW System had seemed distant. Until they realized this could mean an end to 4H, as we know it now. I wondered if any of the girls or their parents knew of the meeting I attended about cuts affecting a program about which they are passionate. If they had the opportunity to choose a budget priority, would they have chosen differently?